TKperf combines several SSD tools under one roof. You can use TKperf to investigate SSDs before deployment and even to measure performance. Linux offers several low-level tools for investigating solid state drives (SSDs). Admins are well advised to deploy these tools immediately, because they overwrite all data, which is a problem for SSDs in production use. One example of an SSD tool is FIO , an I/O-benchmarking application by Jens Axboe. Upon request, FIO bypasses the Linux page cache, starts multiple jobs in parallel, and runs with different I/O depths and workloads. The tool can even claim Linus Torvalds' blessings. "It does things right, including writing actual pseudo-random contents, which shows if the disk does some "de-duplication" (aka "optimize for benchmarks)," Torvalds posted on Google Plus in 2012. "Anything else is suspect – forget about bonnie or other traditional tools," he added. Hdparm  is also an old friend that can set and read parameters on (S)ATA hard disk drives; recent versions of Hdparm even support SSDs. Hdparm is capable of obtaining information about SSDs, and it also has a secure erase feature that erases the contents of the pages. Hosting service provider Thomas Krenn has bundled these and other tools into a text-based open source utility called TKperf . TKperf performs many long-winded performance tests for the connected SSDs and outputs graphics and files with the results of latency and data throughput measurements. The TKperf bundle includes sg3-utils (for Serial Attached SCSI), nvme-cli (for NVMe devices, ), and the fusion tools that take care of Apple's Fusion drives. In our lab, I replaced the hard disk in my laptop with an SSD (see the box "Installing TKperf"). I then ran TKperf on a USB stick (8GB) with an Ubuntu 14.04 Live system and 3GB permanent memory. As mentioned, you do not want any important data on the SSD, because TKperf will overwrite the contents. To use the tools on SSDs to which you do not have direct access, the developers recommend the screen tool. rst2pdf converts the reports created by TKperf to PDF format. When we called the tool during testing, we saw a warning message stating that TKperf would delete all the data. Shortly after starting, it canceled this activity, however. A look at the log showed that the device was in frozen mode. Frozen mode provides protection against accidental deletion. To unlock this mode, you need to unplug the disk on the fly and then push it back into the slot. This somewhat unconventional approach worked, and it seems to be a requirement for first time use in a new computer. Admins should take this into account before installing an SSD. FIO, which runs in the background, can operate with different workloads and configurations . FIO is based on the Solid State Storage Performance Test Specification (SSS PTS) Enterprise v1.0 . you can see which tests  the tool puts the SSD through. It measures the latencies for average and maximum workloads (lat), input and output operations per second (iops), the write saturation (writesat), and the data throughput (tp). In the preceding command, the -nj parameter states the number of jobs, and the -iod option sets the I/O depth . The -rfb parameter repopulates the buffers after each pass, so that the drives (in the example below /dev/sda) do not start to compress. You can define the name samsung850pro yourself. When launched, the software works for several hours; an optional runtime display would be nice because nothing happens for a long time after starting. You can, however, manually limit the time using --runtime and --times_based limits. generates a PDF with a report on the test, including graphics. 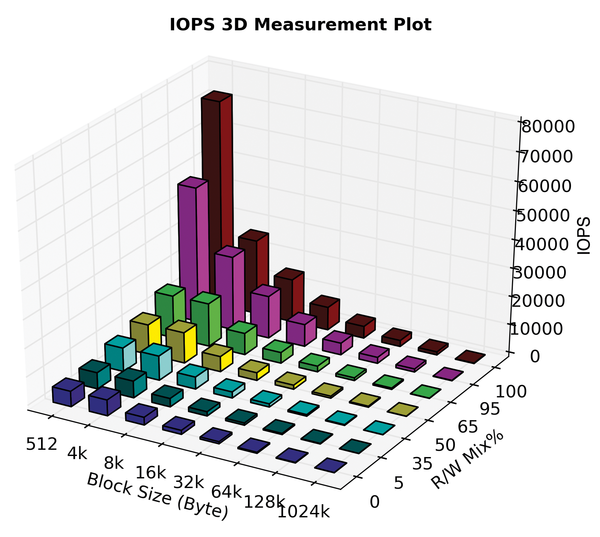 Figure 1: I/O operations per second for various workloads. Aside from the preparatory work and the long test period, TKperf offers an easy option for gathering meaningful data on SSDs. You can then do without vendor-specific SSD tools such as Samsung's Magician  or Intel's SSD Toolbox . Solid state drives make everything run faster and more smoothly, but you can squeeze out even more performance with some practical optimization steps. Hdparm is the tool to use when it comes to tuning your hard disk or DVD drive, but it can also measure read speed, deliver valuable information about the device, change important drive settings, and even erase SSDs securely. Nothing accelerates a PC like transitioning to an SSD, but some special configuration might be in order if you want to get the most from your drive. The Debian project was given a new server from Thomas Krenn AG, Intel and Adaptec for its image building. With the Dual-Xeon computer the build process was reduced from 20 to two hours. A simple command helps you switch on the afterburner for your hard disks and drives. hdparm improves the performance of your storage devices.